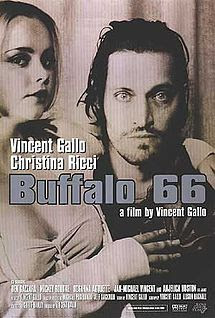 Either Vincent Gallo is your cup of tea or he isn't, and the same goes for his "Buffalo 66" (1998). I think Gallo (who writes, directs, probably rented the car himself, etc.) is great in the right role, and, for me, this is the right role for him. In some ways, I see Gallo as a successor to John Cassavetes, producing eccentric and highly personal pictures that look at otherwise unexplored aspects of human interactions. Gallo plays small-time hustler Billy Brown, a man with big-time obsessions. He does it so well that you'd swear he studied that guy you yourself knew years ago. You know that guy, the one who sold used cars, or watches, or drugs, or just knew how to scam people without them really minding. Slick, easy with the quip, and never really getting anywhere in life, but enjoying each day the best he can. This is a well-framed scene, contrasting the dysfunction of real people with the romantic ideal. Christina Ricci plays Layla, the subject of Billy's obsession. In some ways, this may be the most politically incorrect film you ever watch. And I don't mean those phoney "un-pc" films that Hollywood churns out which fake you out by making fun of a few minor pc rules, but otherwise actually follow the fundamental pc orthodoxy slavishly. 'Buffalo '66" has a kidnapped girl (Christina Ricci) falling in love with her abductor, who succeeds beyond his wildest expectations with a crude kidnapping plot. That breaks a major taboo, and it is "wrong" to even propose that kidnapping someone would lead to good things. That it all flows so smoothly and almost logically is a testament to the extraordinary performances of Gallo and Ricci. The eyes are the windows to the soul. Layla may be kidnapped and in peril - but there is something about being wanted, at great personal cost, that resonates with her. Billy, on the other hand, knows it is all futile - but he has to try anyway. 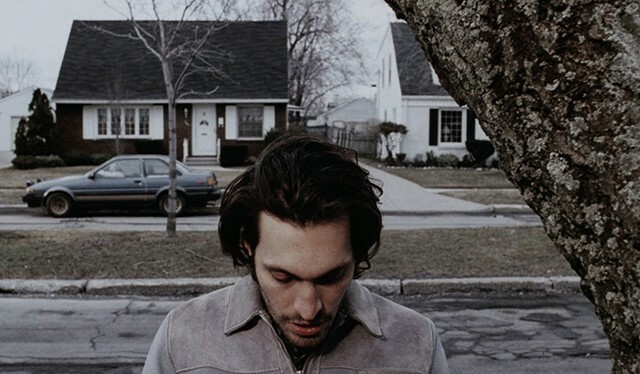 "Buffalo '66" is a small film, obviously reflecting Vincent Gallo's . It focuses on one, idiosyncratic loner and what he does one day out of sheer orneriness in an attempt to allay the loneliness that afflicts him. It is entertaining, but only if you like that sort of thing. Do you like art-house cinema? Do you enjoy films that "peek under the hood" of human interactions, that don't have any explosions, that don't derive from a comic book? If so, see "Buffalo '66" sometime. Christina Ricci comes to understand that Billy Brown is just a loser looking for something, anything to make sense of his life. 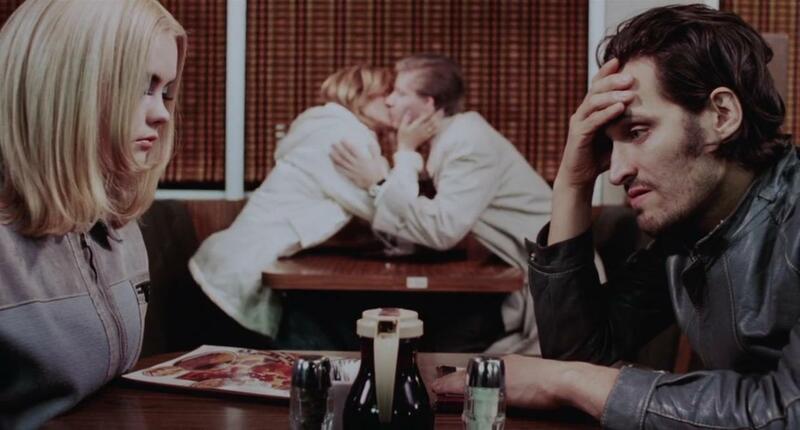 Buffalo '66 is filmed linearly, portraying one (very full) day in a man's life. But the actual events are not merely a slice of life - that misses the entire meaning. It is a tale of alienation, of frustration, and how one Billy Brown solves that to his own satisfaction. The tale itself is contrived to show a single, simple reality of life, and at that it succeeds brilliantly. "Buffalo '66" makes you step outside the box. Nicely done. Someone breaks down the walls between people that society imposes, and Billy Brown is that man. It all boils down to a put-upon man's final moment of truth, when face-to-face with his bloated, champagne-swilling Nemesis, the hatred of whom kept him going for five years in prison. Everything preceding that once-in-a-lifetime, wrenching moment of truth should be seen as an impressionistic survey of the influences that molded him and brought him there. Everything flows from childhood, and Billy Brown is still working on that. Sure, having a kidnapped girl fall for him, as presented, is implausible and flies in the face of everything society is telling us is good and decent.... You cannot feel sympathy for a kidnapper, that is not allowed, and if you can't get beyond that, you will miss the subtlety of "Buffalo '66." The kidnapping itself is a metaphor, that somehow in his miserable life Billy Brown at some point somehow, just for a day, swings for the fences, takes a huge chance, and snags some momentary happiness. The deeper point is the wonder in that fact that we all, at least hopefully, despite all of our neuroses and flaws and obnoxiousness, somehow find someone that enriches us, or something that eases the pain. In a way, Billy's cruelty in his way of introduction may be seen as commentary on how much we all take for granted in our lives, and how little we understand the grace of what we have despite all the overbearing forces that work against us. The tap-dancing scene shows that we can build our own happiness even in the shabbiest of circumstances, if we just have the will. Billy's parents (played by Ben Gazzara and Anjelica Huston) are way over-the-top (but for some of us who grew up in the '70s, not as much as you might think). The cheesy house and decor, and indeed almost every dismal thing in the film, brought back some memories of my own, I might add. Having his parents blame his birth for missing the big game, that's a Master's touch. Their almost predatory behavior toward him, their utter banality and callousness, it all boils down to a possible excuse/justification for his fate. The question is, does he take it? 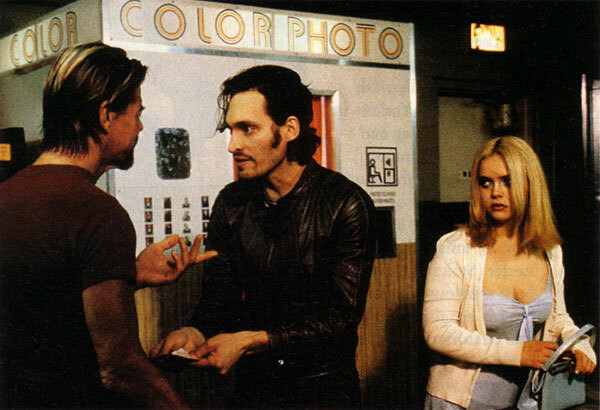 Christina Ricci and Vincent Gallo become comrades after the initial crudeness of their meeting. Billy Brown's friends are overly imbecilic and pathetic, but the point here is that our loser friends (and we all have some) cannot be the cause or solution to our own problems. And, in their own way, they are a gift, too, particularly as portrayed by his fabulously loyal friend at the bowling alley, who also provides a window into the soul of the protagonist. What did he do to merit that adoration? There are redeeming features there, however buried under a mountain of attitude. The photo booth scene offers a peak inside the characters. As an aside, for anyone with any familiarity at all with the Bills or Norwood, the portrayal of Scott Woods (apparently a God-fearing man) is hilarious. Everything points toward deeper truths. The moment of clarity? It deals with the futility of blame, the emptiness of revenge, the need to take a chance, and the liberation of self-responsibility. Just as Scott Woods finally stepped up to the plate and took his swing against destiny and fate, now it's Billy Brown's chance. This is another man's turn at the plate. And Billy Brown doesn't miss.